Read the link, that first main reply is amazing. So much to learn. Was able to get those WBTs desoldered. Took almost 2 hours to do 8 of them. The design of that terminal makes getting the shield off pretty tricky depending on how it was built to begin with. Does anyone know of a source for pre-printed +/- red/black tags like for speaker wire? I wouldn't have thought this would be so tough to find. I use red-black-blue or two sets of heatshrink, with a longer piece for each channel and shorters ones for polarity. Mogami 3104 twisted together for single-wiring per channel. Furutech spades, and set-screw bananas that don't otherwise come apart, and work great with the WBT lugs on my amp. I've had these for awhile but tonight decided to do them correctly and I'm happy with how they turned out. The main goal here was to shorten what I had, as they were almost 10' long and I only needed 5' with my new layout. The RCAs are Mogami 2549 that I terminated with WBT 0144s, then added a little dressing to. I should have done the dressing before I soldered one of the two ends, but I was excited to use my new soldering station, lol. I still like how they turned out. Next up is to dress the other RCA I made (same recipe as above), then I'm moving into power cables. First one will just be simple, and will rid me of that garden hose going into the amp. Then I'm trying Steve Reeve's double helix design. We'll see. westermac, LetMeBeFrank and bobboxbody like this. 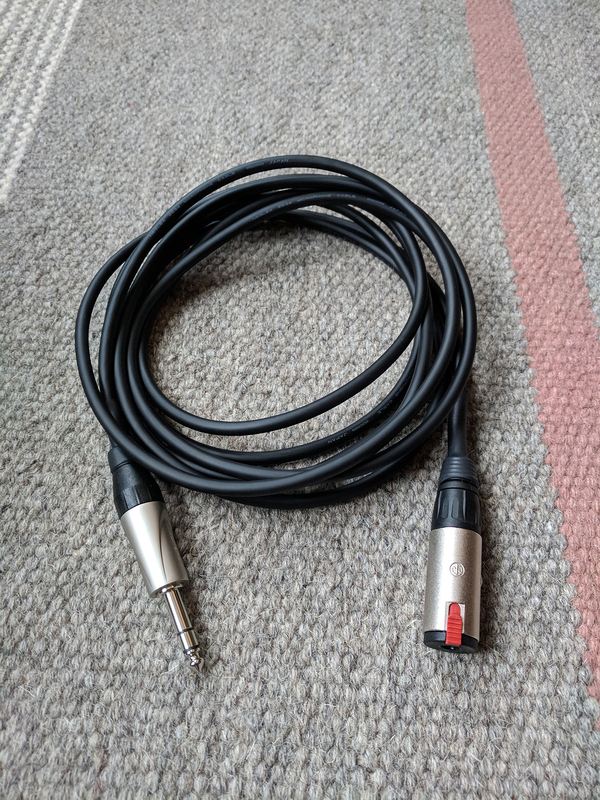 The Mogami I'm using has cotton rope (it's actually pretty darn thick, too) running through it but when it comes to cable properties and such, I just know I really like the sound I get from Mogami. Canare is really, really good stuff though. I am beyond happy with my Odyssey gear. 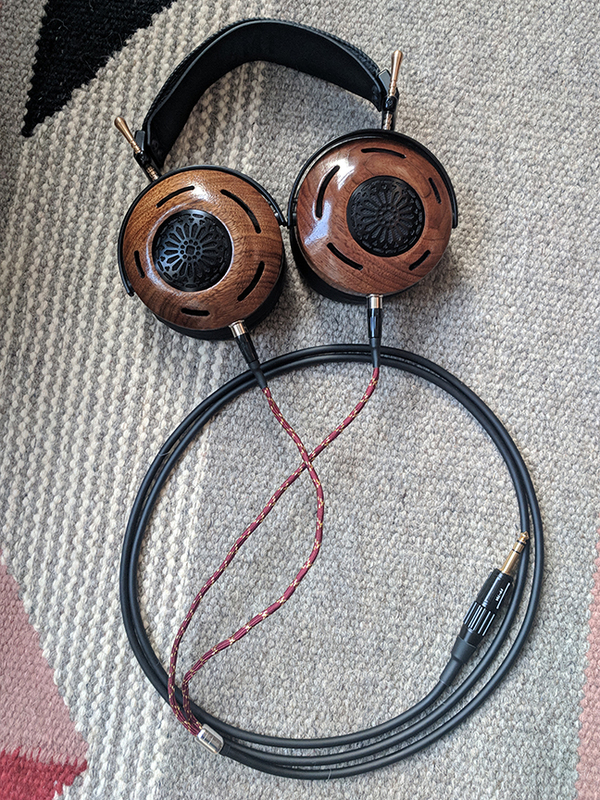 I have a Stratos Extreme with a few upgrades and it is fed by a Candela preamp with Radiotechnique 12AU7s that are just magical for the music I listen to. The Kismet monos like you have are the only other amplification I would consider going to from the Stratos. But in my small room, I'm barely stressing the Stratos and I want for nothing in terms of imaging or dynamics, so I feel like that will be the route I go if/when the Stratos has played its last note, but not before then. And reducing the length of the cable, while I can't definitively say it's improved anything, the rigs sounds even a touch more dynamic and spacious this evening, so that's something. 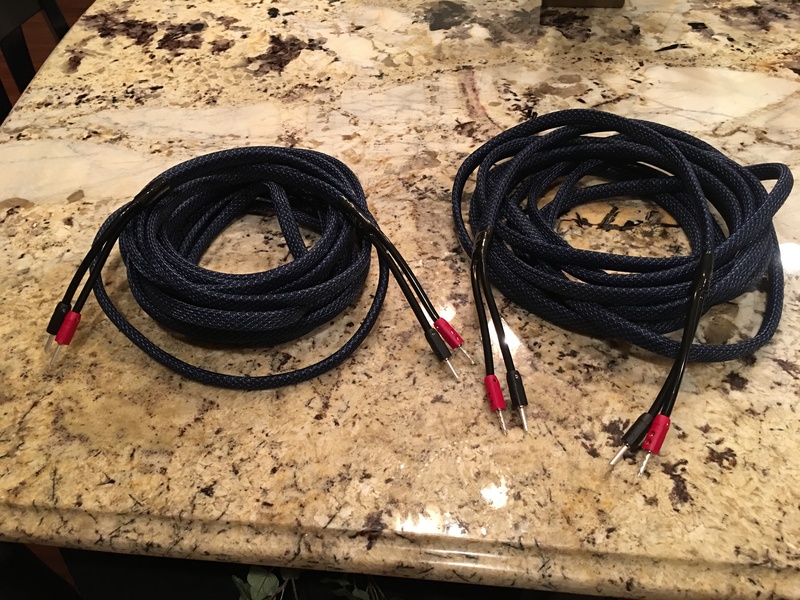 Finally took the plunge and made 2 30ft speaker wires. I used Audioquest Rocket 11 wire, wire pants and some tech flex. For now I used the RB 300 Banana Plugs as well. Happy with how things have turned out and sound. Jerry, toddrhodes, bixby and 2 others like this. Finally built a cable for my Auteurs. 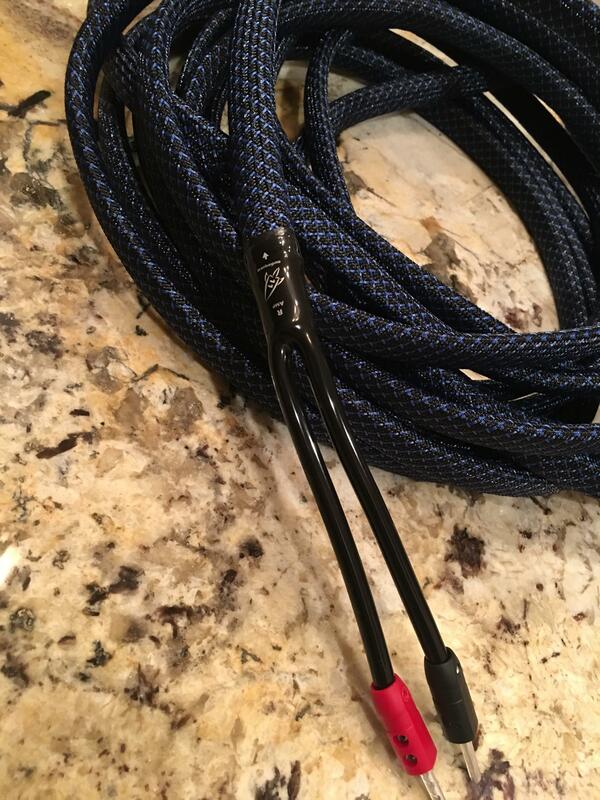 I used Mogami W2534 and left it as is until the split, then twisted inside of #550 paracord. Amphenol mini 4 pin XLRs and a giant Furutech 1/4" for connectors. Sounds nicer than the stock cable? I dunno, but it's pretty and the exact length I wanted. winterfog, Lou Casadonte, skem and 5 others like this. 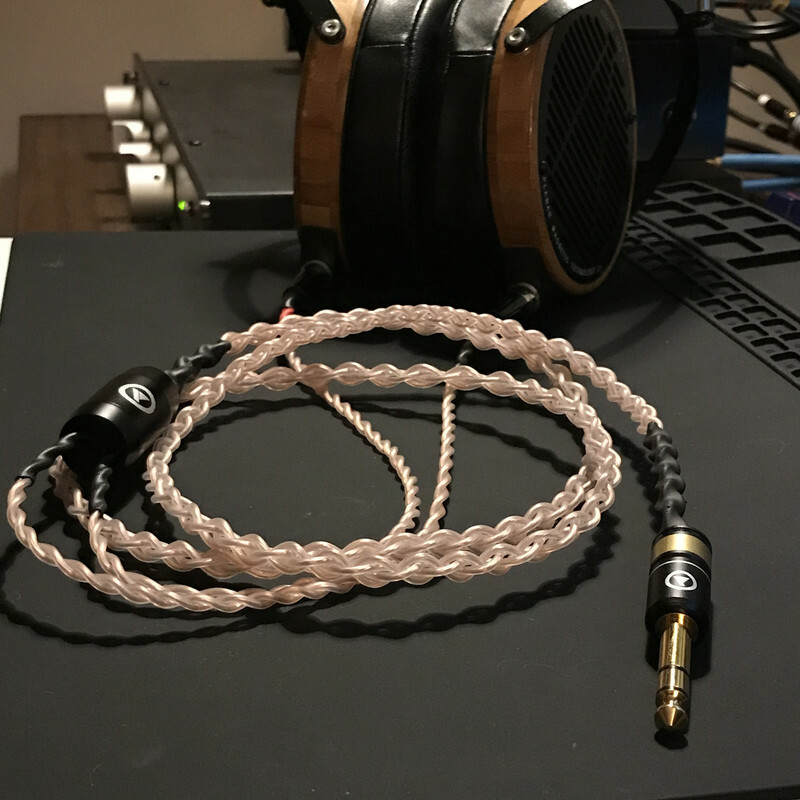 Made my first cable, for my pre-fazor LCD-2.2. This was the first time I had ever soldered anything, and I was able to get nice shiny joints, so I'm pretty happy with how it turned out. I used the transparent-sheathed 22-AWG conductors from Mogami 2549, a Viablue TRS jack and splitter, and Amphenol mini-XLR jacks which were a very tight fit. Sounds great. 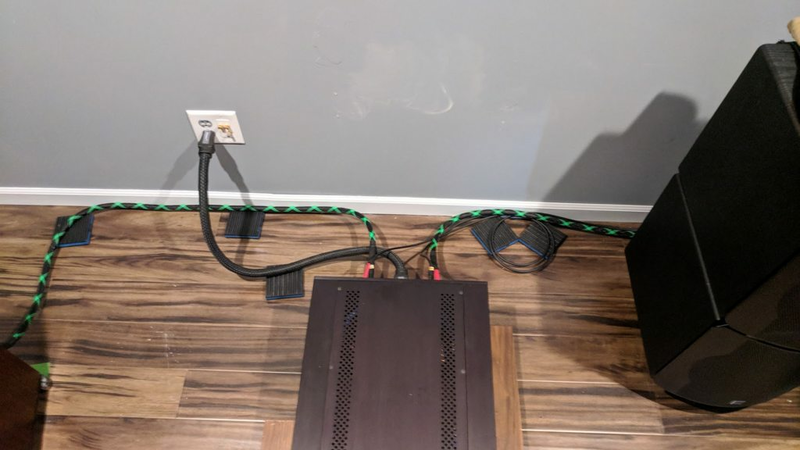 It was 5.5 feet long before braiding/twisting, which is just long enough to be perfect for listening at my computer desk, but also just short enough so that it doesn't quite touch the floor when stored at the desk. Not touching the floor is a big plus, since it means our Roomba won't eat the cable and pull the headphone off its stand. The main downside to this design is microphonic noise in the twisted sections after the split. There's a little play between the two wires in each twisted pair, so they can rattle against each other. 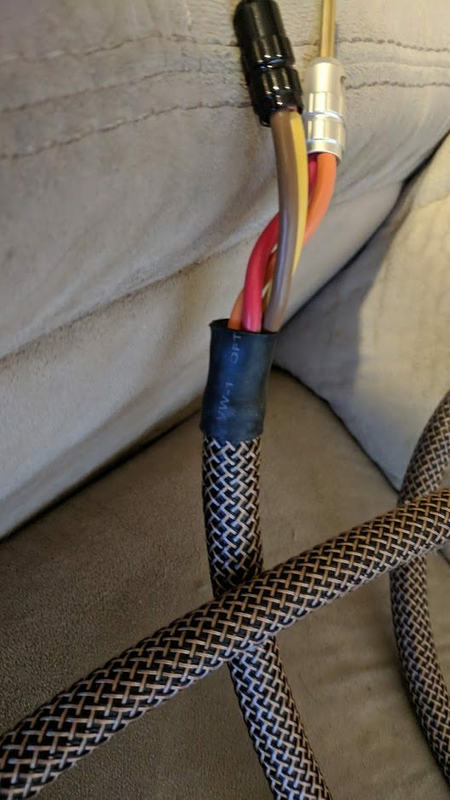 The better thing to do would have been to cover the sections after the split entirely with shrink tubing to secure them, even if the result wouldn't look as nice. skem, Roman, Panohm and 4 others like this. It turns out I should not have used the metallic paracord. Despite the neat looks, it's much louder in terms of microphonics. Whoops. 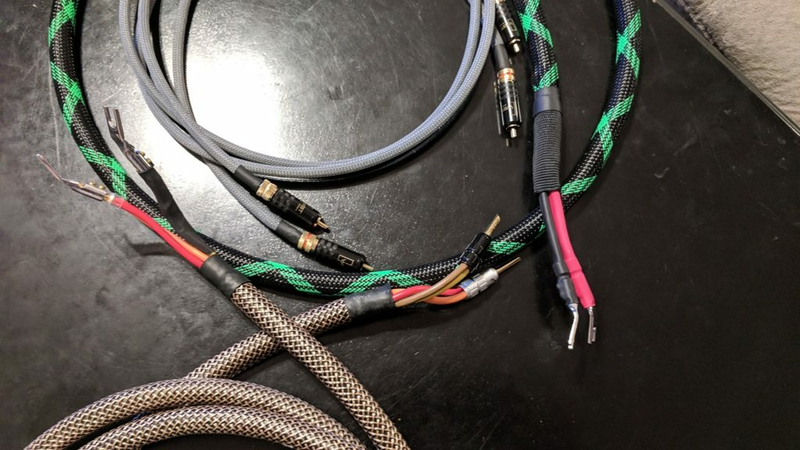 And the most common amplifier/source connections I use (dual 3-pin XLR for iFi Pro iCAN/Woo WA234), normal 1/4" TRS, 4-pin balanced XLR and the PITA 4.4mm TRRRS "Penatconn" connection. I read through your responses and I didn't see a few things I'm curious about. 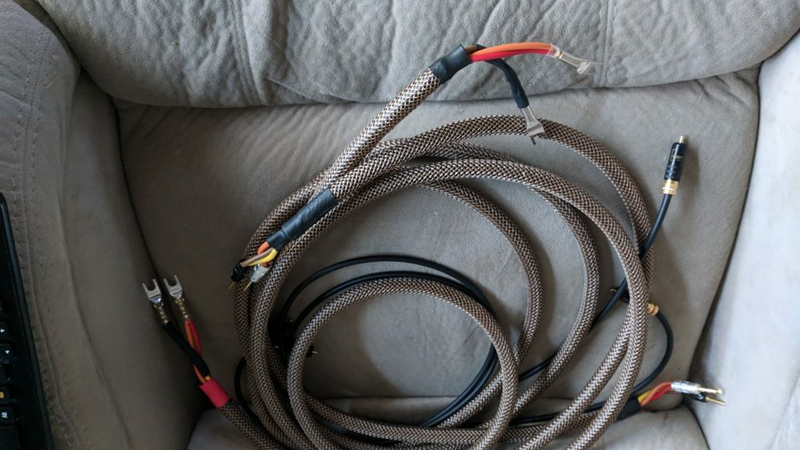 These seem really bendable, are they each two canare star quad cables? Did you remove the outer plastic sheathe but keep the shielding weave? What is the filler rubber you have inside the Eidolic XLR? 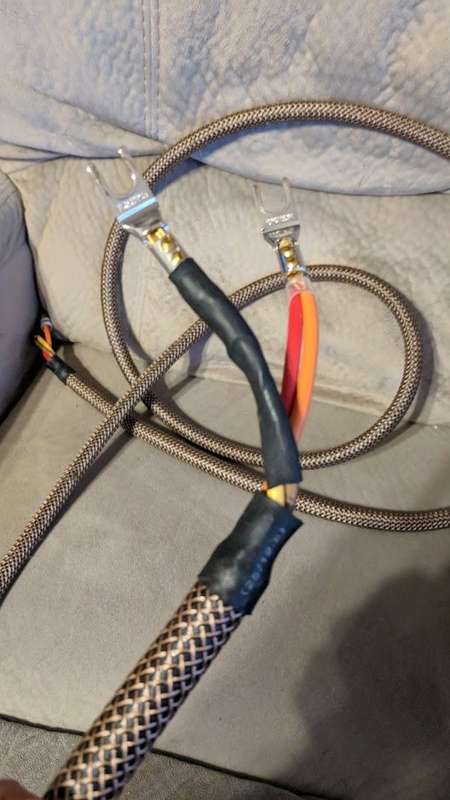 I Used Sommer Cable SC-Onyx 2025 MKII with braid sleeving and heat shrink wrap. I made these for my vintage setup (its from my middle to high school setup). I found these rca plugs that looked like the ones from radio shack’s premium cables in the 90’s. I like how they look with my mid 90’s gear. Started making these for my main listening rig. They are super flexable and dont seem to pick up any interfence from power cables or lamp cables. The plugs are a little tight but I stretch them out a little before use them. Hopefully these don’t look to bad. Edited: Took me a little bit to get the pictures to actually work. PirateKingAtomsk, bobboxbody, Lou Casadonte and 2 others like this. Just built this 1/4" extender for my ZMFs. Neutrik female locking 1/4" to Amphenol jumbo 1/4" with Mogami W2534. My new favorite activity is laying in bed listening to Bach: The Cello Suites - Recomposed by Peter Gregson on my Auteurs. Many thanks to @Syzygy and @David De Lucena for the recommendation on "the what are you listening to" thread. 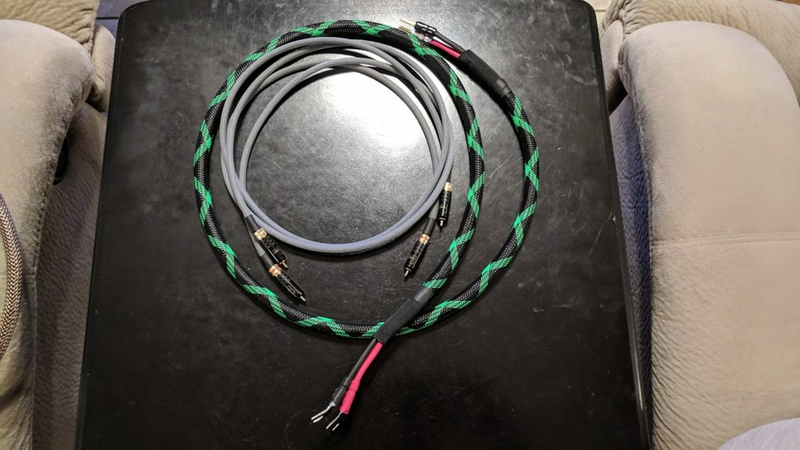 Edit: Never thought I would have so much fun making cables, thanks to this thread as well. Baten, David De Lucena, Jalsar and 3 others like this. Careful, you might become a parts hoarder like me. 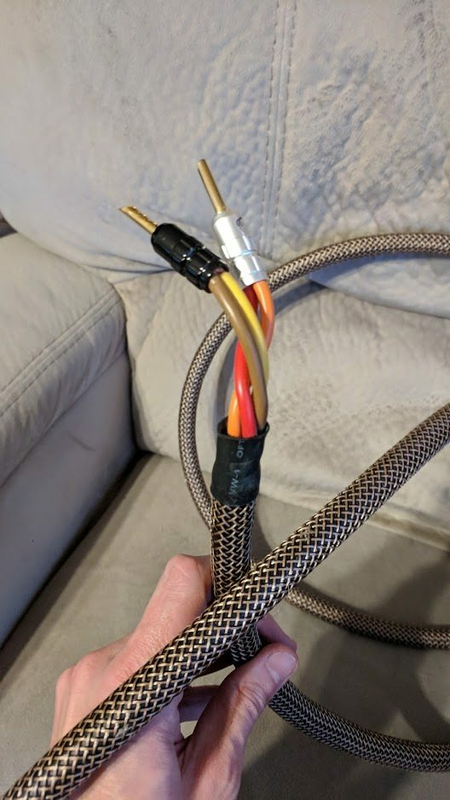 I have many hundreds of dollars worth of wires and misc connectors I have collected over the years because they were a good deal or looked cool. I sometimes make a cable I don't need because I wanted to try something new. Baten, Jalsar, Syzygy and 1 other person like this. Any recommendations for some good quality / good looking banana plugs at a reasonable price? I have used the "nakamichi" branded (clone for sure) from ebay. Very well put together. I read banana and still pulled up spades? People here have spoke highly of the WBT RCA knockoffs...which ones specifically I'd have to hunt down. @zerodeefex may have mentioned it previously iirc? 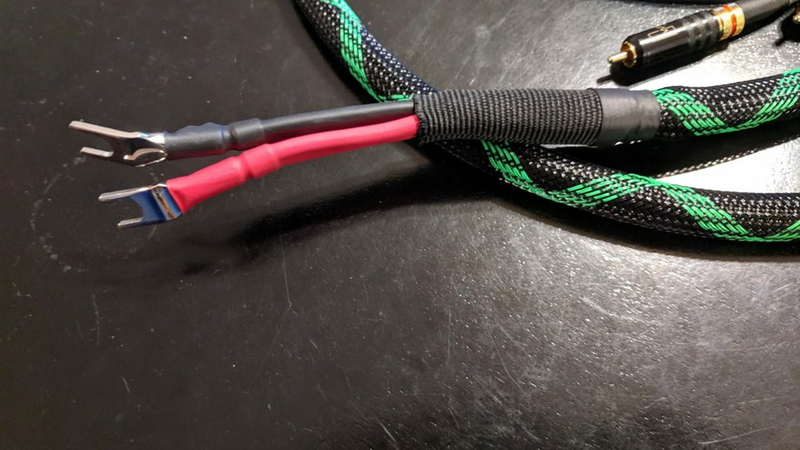 @fraggler I immediately looked for a "higher quality" in line female 1/4" connector after making this post and then browsed the furutech site to consider purchasing another ridiculous 1/4" plug. Then I thought, maybe I need to look into some of that fancy wire so it can sit next to my spool of mogami.